Some wineries are started organically with winemakers evolving from home winemaking to starting a commercial venture. Some wineries, however, are started by force. This is is one such winery's story. Stephen Otis Kenyon and his wife Deborah Dunbar became interested in winemaking many years ago when they lived in Chateauneuf du Pape. Since that time, Kenyon, who is a native of Walla Walla, had watched the local wine industry grow and had even taken a few classes at Walla Walla Community College’s Center for Enology and Viticulture. But he had not taken the plunge. In October of 2004 – late in October – Dunbar decided to take matters into her own hands. She called Stan Clarke, one of the grandfathers of the Washington wine industry, and asked if he knew of a vineyard in Walla Walla where she could buy Cabernet grapes. 2004 was a freeze year and while most wineries in the Walla Walla Valley were forced to look outside of the valley for fruit, there were a few producers who managed to bring in grapes. One was Panorama Vineyard. Deborah called the owners and purchased the grapes sight unseen. When her husband returned home that day, she informed him that he needed to go to Walla Walla that weekend to get the grapes. Shocked, Kenyon at first refused but finally relented. Kenyon’s classes at the enology and viticulture school had taught him at least one thing; he wasn’t going to be able to make the wine on his own. After another call to Stan Clarke, Kenyon was put in touch with winemaker Dave Stephenson. Stephenson came to Walla Walla in 1999. After initially working at Waterbrook Wines and taking on-line classes at University of California Davis, he started Stephenson Cellars in 2001. 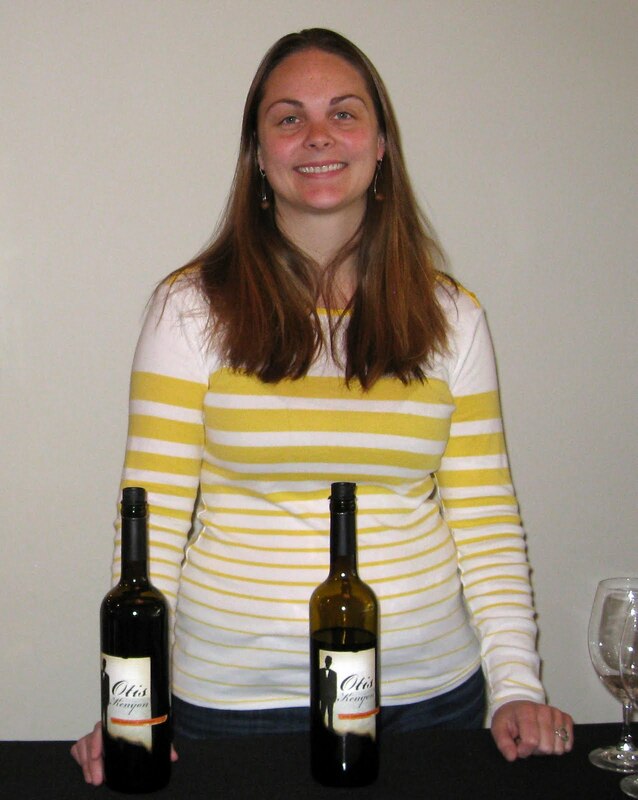 In 2003, Stephenson began consulting for other wineries as well. The problem was that Stephenson had recently finished up work for another winery and was not particularly interested in taking on additional consulting work. Kenyon’s daughter Muriel says, “My dad spent the weekend hounding him, stalking him and bribing him with food and wine until Dave also finally relented.” Stephenson has been the winemaker since Otis Kenyon Wine’s first vintage in 2004. He is also partner at the winery’s estate vineyard, Stellar, in The Rocks region of the Walla Walla Valley AVA. 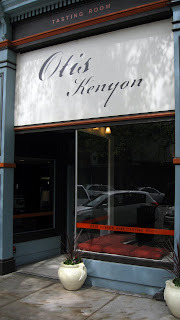 Otis Kenyon is one of a number of wineries in the Walla Walla Valley AVA that is located in Oregon. For years, these wineries have occupied a strange, between space, not officially Washington (except, of course, to me) but virtually ignored by Oregon’s promotional efforts. Complicating matters further is that Otis Kenyon also has a downtown Walla Walla tasting room and a Woodinville tasting room, which opened earlier this year. Despite these headaches, Otis Kenyon is thriving. 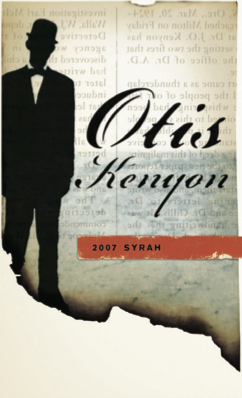 The Otis Kenyon wines are compelling with unique aroma and flavor profiles compared to many from Walla Walla Valley. The lineup includes excellent varietal examples of Malbec and Carmenère. Unfortunately, the 2007 Malbec, which hails from the emerging Phinney Hill Vineyard in the Horse Heaven Hills, may be the last from the winery. 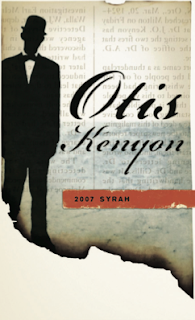 Otis Kenyon produces 2,400 cases annually. Rating: + (Good) An aromatic wine with licorice, chocolate, earth, and brambly fruit. A very unique aroma profile that also shows sliced olives. Tart and a bit tannic on the palate at present but with very good fruit. May settle down with additional time in the bottle. 100% Cabernet Sauvignon. Seven Hills Vineyard, Pepper Bridge, and Windy Ridge. Aged in French and American oak (60% new). 14.6% alcohol. 581 cases produced. Rating: * (Excellent) An outrageous nose with loads of black olive juice and cherries. Palate has a plush, velvety feel with black olive juice and orange peel flavors. An unusual aroma and flavor profile for a merlot but quite compelling. 100% Merlot. Seven Hills Vineyard. 14.2% alcohol. 230 cases produced. Rating: * (Excellent) Light purple and brilliantly colored. A moderately aromatic nose with spice, dark fruit, milk chocolate, floral notes and lemon zest. The palate is elegantly balanced and accented by bright acidity. Patina, Estate Stellar, and Windy Ridge vineyards. 14.3% alcohol. 658 cases produced. Rating: + (Good) An appealing nose with olive brine, cherry, and light chocolate. Light and lively on the palate with very pretty fruit flavors. An excellent value. 70% Merlot, 30% Cabernet Sauvignon. Seven Hills and Lodmell vineyards. 14.4% alcohol. 797 cases produced. Recommended. Rating: * (Excellent) Beautiful varietal aromas of plum and pepper along with baking chocolate. An extremely enjoyable wine with vibrant acidity and fresh fruit on the palate. Give one year. 100% Malbec. Phinney Hill Vineyard, Horse Heaven Hills. 14.1% alcohol. 70 cases produced. Rating: * (Excellent) Nose is marked by white pepper along with black cherries, licorice, and a touch of chocolate. Beautifully polished fruit on the palate with velvety tannins. 92% Carmenère, 8% Cabernet Sauvignon. Phinney Hill and Pepper Bridge vineyards. 14.1% alcohol. 100 cases produced. Doug, thanks for the link!